Governor Andrew Cuomo on Tuesday kicked off the first of four summits supporting the state’s comprehensive effort to protect vulnerable lakes and waterbodies in Upstate New York from harmful algal blooms, or “HABs,” in New Paltz. 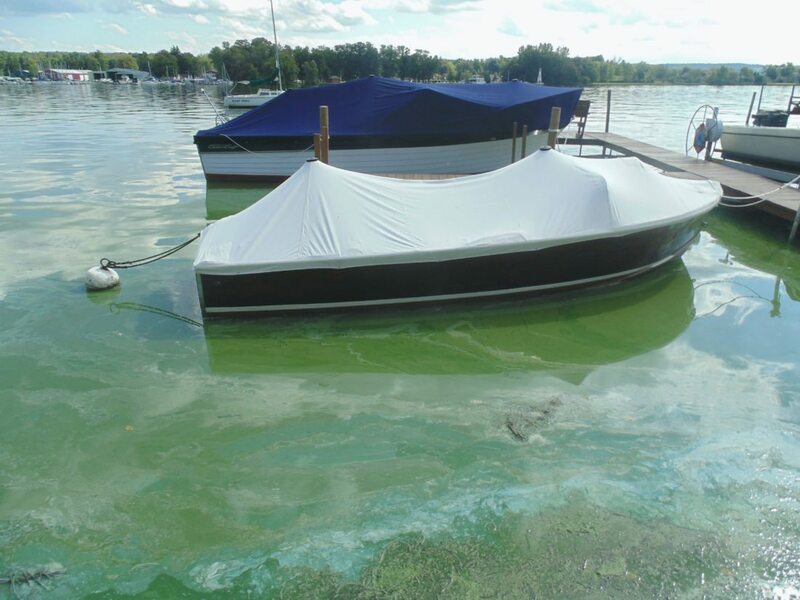 Included as part of the governor’s$65 million four-point initiative to “aggressively combat harmful algal blooms” is Chautauqua Lake. The Hudson Valley Summit is part of the initiative unveiled in the Governor’s 2018 State of the State to aggressively combat these algal blooms. The increasing frequency and duration of harmful algal blooms threaten drinking water quality and the recreational use of lakes essential to upstate tourism. The Hudson Valley summit will guide the development of four action plans to reduce harmful algal blooms in the following waterbodies: Lake Carmel, and Palmer and Putnam lakes in Putnam County, as well as the Monhagen Reservoir, Orange County. These waterbodies are typical of small lakes that support recreation and provide drinking water. Lessons from these lakes will be applied to other water bodies characterized by surrounding residential development, the prevalence of on-site septic systems, upland agricultural use, and other nutrient inputs–a common set of characteristics across the Hudson Valley. Cuomo’s Harmful Algal Blooms program builds on the State’s $2.5 billion Clean Water Infrastructure Act investments in clean water infrastructure and water quality protection throughout New York State. The Harmful Algal Blooms initiative will be supported with funds from both the $2.5 billion Clean Water Infrastructure Act and the $300 million Environmental Protection Fund. Through the governor’s leadership, New York has developed the most comprehensive Harmful Algal Blooms outreach and monitoring programs in the country, led by DEC sampling of ambient waters across the state and DOH sampling at regulated beaches and public water systems.